Cassette Magnifiers are especially popular for their protective metal case.. They are particularly good for stripping work and registration checking. Fine quality coated achromatic lenses in 10, 12, and 20 power. Plastic and metal construction. 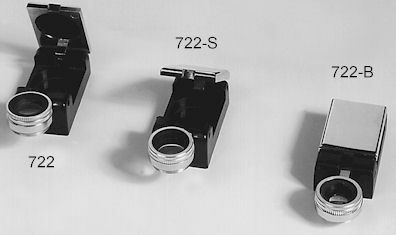 The 722-S is constructed with the popular "over-sized" lens.